A trusted accounting advisor to turn to for comprehensive financial services. Chris is a New Bern native and attended New Bern High School. He graduated from East Carolina University in 1974 with a Bachelor of Science in Business Administration with a concentration in Accounting. 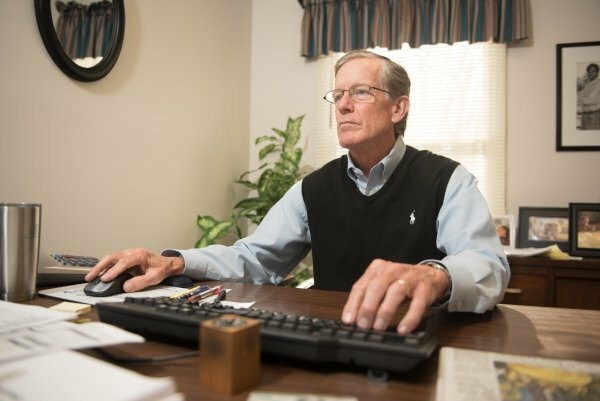 Chris began his public accounting career in Wilmington, obtaining his CPA certificate in 1977, and returned to New Bern in 1978. His areas of concentration are taxation of individuals and closely held businesses, estates, and trusts. In 2003, recognizing that many clients did not have a trusted advisor to turn to for comprehensive financial services, Chris completed his education and licensing requirements with the NC Department of Insurance and Financial Industry Regulatory Authority (FINRA). This experience is most helpful in advising clients in the areas of wealth management and investments. Chris has maintained membership in the AICPA and NCACPA for the duration of his career, and has served on the boards of various civic organizations and social clubs over the years. He is married with two adult children.